The stunning harbor precinct and the blue mile of Wollongong City will come alive again this April with a festival of fitness, health and family fun that offers everyone the chance to have a go or come along and enjoy the color and spectacle of the sport of triathlon.The Wollongong Triathlon Festival has multiple event distances: Standard Triathlon, Sprint Triathlon, Super Sprint Triathlon, Try and Tri, and the Miniman Aquathon! People are triTheGong triathlon festival offers races for all ages and abilities. Enter as an individual or get some friends together and be part of a team and taste the excitement, exhilaration, and sense of accomplishment that comes with participating in this festival. Wollongong Standard set to SELL OUT QUICKLY! Set in such an amazing course so close to Sydney, its no surprise why this has been a long-time favourite of our athletes. Last year’s race was almost a capacity field so this year the word is “get in early” as the opportunities to race the shores and streets of major metropolitan precincts are few and far between. All indications are that the Standard Distance Triathlon will be SOLD OUT early. This event will be an ITU World qualifying race. 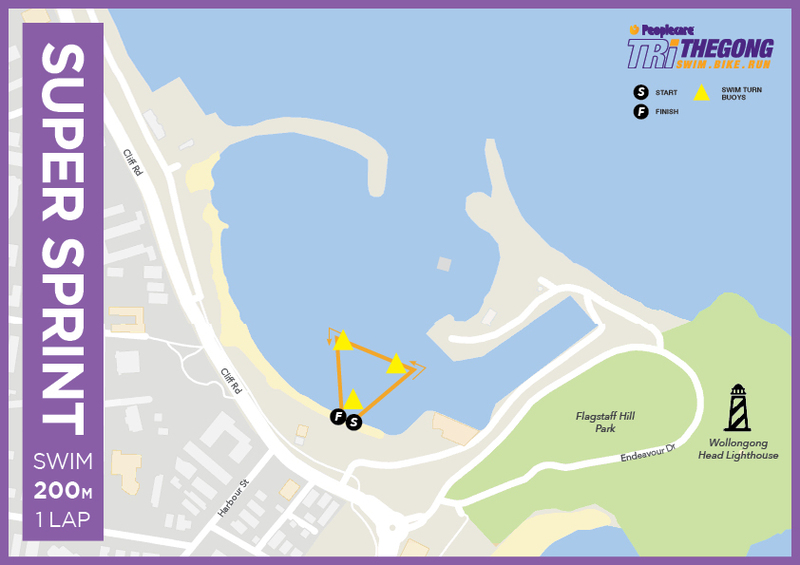 The swim is a 2 lap course in the waters of Belmore Basin. 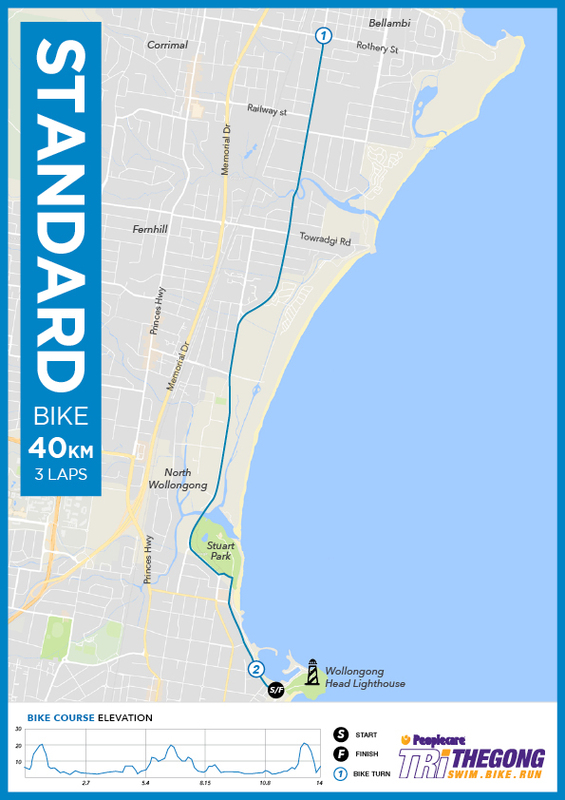 The 3 lap bike course takes you out of Transition and along Cliff Road, and if you get the change the most scenic view of the Illawarra coastline. 2 laps. 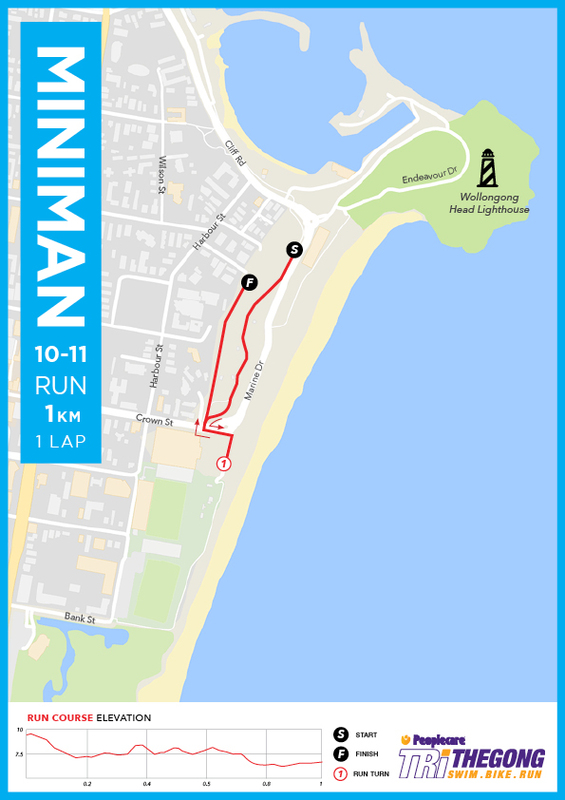 As athletes exit transition to start the run they will turn right and run along Marine Drive footpath towards the WIN entertainment centre. 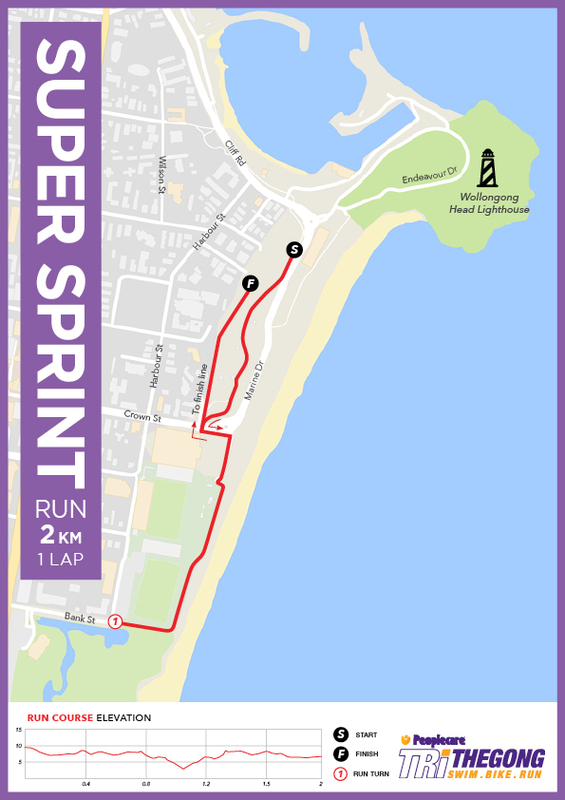 Athletes will make their first turn just before the WIN entertainment centre and head back along Marine drive. Athletes will make their way towards the lighthouse on Flagstaff hill as they run along Endeavour Dr Athletes must keep on the footpath at all times as they continue behind the City Beach Function Centre (waterside), all the way past the WIN Entertainment Centre and turn around at the second turn point near the corner of Bank Street. Once turned at the second point athletes will make their way back the same way they came. Athletes will start their second lap once they have passed transition. On the second lap after passing transition athletes will make their way towards the 1st turn point where they will turn right and run across the grass towards the finish line. Feel the need for speed, maybe a step up from the Super Sprint or a hit out for something bigger around the corner? 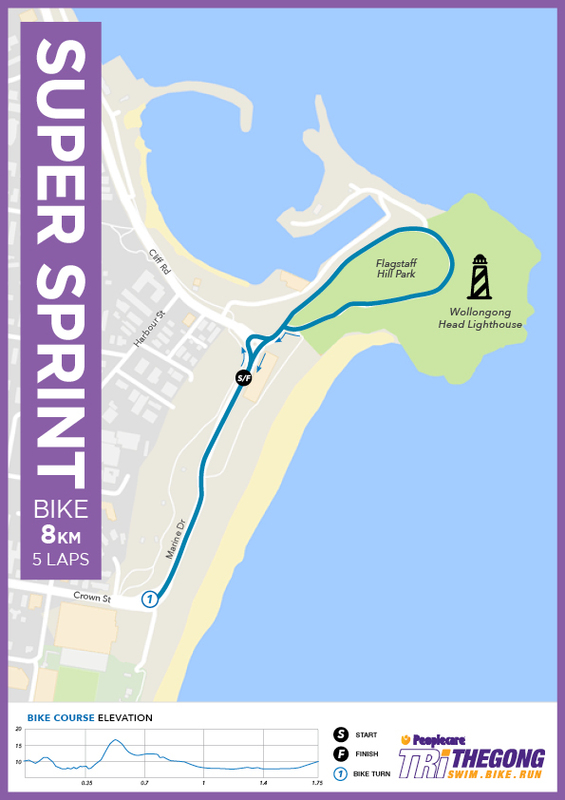 Sprint racing has plenty of action and excitement as you swim, bike and run yourself around one of Australia’s most stunning locations. The one lap swim course takes place in Belmore Basin. 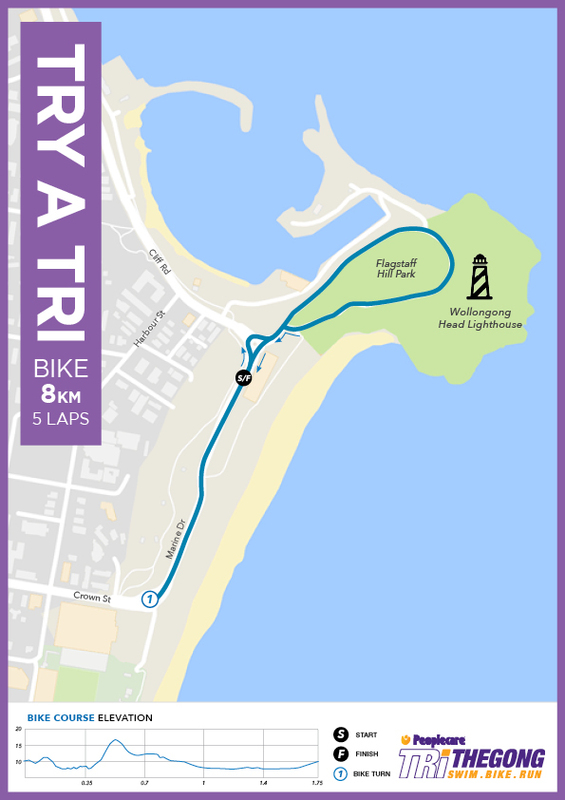 The 3 LAP bike course takes you out of Transition and up along Cliff Road, and if you get the change the most scenic view of the Illawarra coastline. Then at the Novotel, you get onto Bourke Street and then quick right onto Grand Pacific Drive and then Carters Lane for a turn-around at Elliots Road and then return. 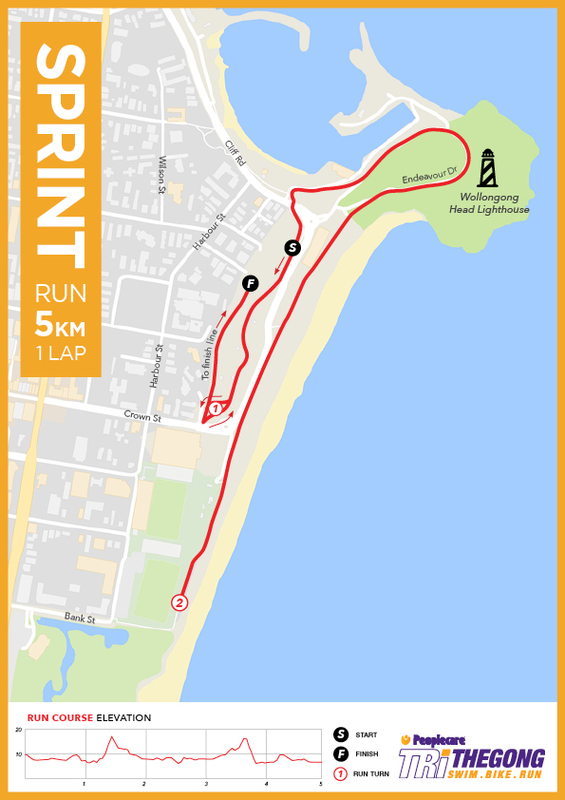 As athletes exit transition to start the 1 lap run they will turn right and run along Marine Drive footpath towards the WIN entertainment centre. Athletes will make their first turn just before the WIN entertainment centre and head back along Marine drive. Athletes will make their way towards the lighthouse on Flagstaff hill as they run along Endeavour Dr Athletes must keep on the footpath at all times as they continue behind the City Beach Function Centre (waterside), all the way past the WIN Entertainment Centre and turn around at the second turn point near the corner of Bank Street. Once turned at the second point athletes will make their way back the same way they came. The Super Sprint distance is fast becoming one of our most popular distances to race. This is the “can do” triathlon. Race in a supportive atmosphere amongst other like minded people and become part of the thrill and excitement of triathlon racing whilst gaining the absolute joy and pride that comes with accomplishing a personal goal. Flippers will be permitted for this event, but medals will not be awarded to these entrants. 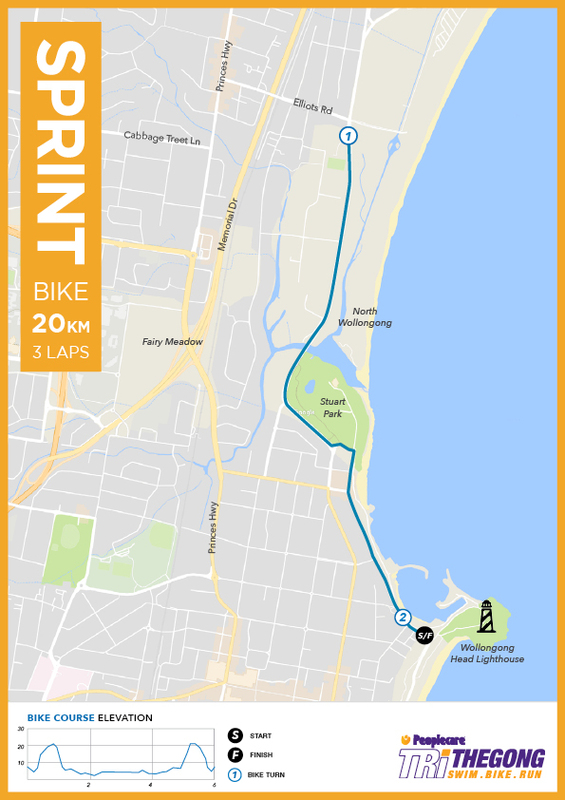 The cycle leg will take you up around Flagstaff Hill and along Marine Drive. On completion, competitors will ride to the dismount area and then head into transition. Super Sprint athletes will start the run by turning right out of transition after completing their bike leg. 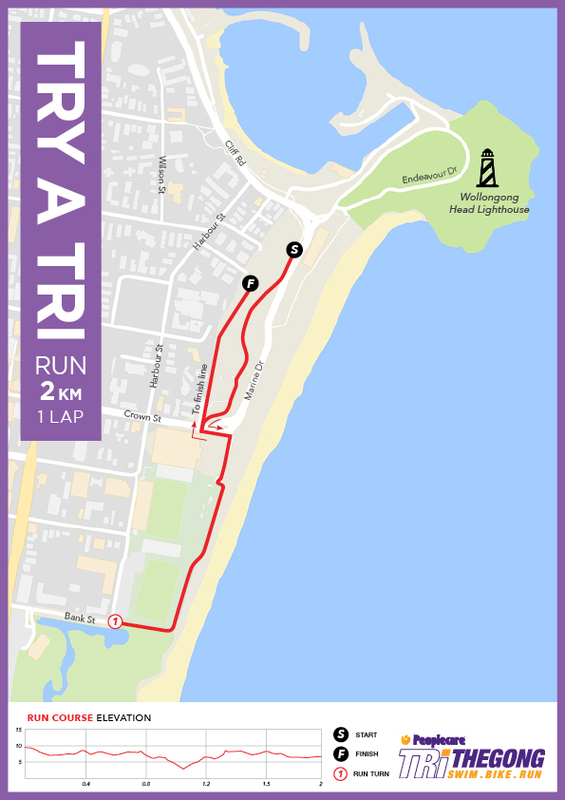 Runners will make their way down towards the WIN entertainment centre, running along the Marine Drive footpath, athletes will cross Crown St and turn left to make their way around the waterside of the WIN Entertainment centre. The turn around point for this run course is on the footpath near the corner of Bank St, after turning around athletes will head back along the footpath. After crossing Crown St on the back from turn point 1 athletes will make their way along the grass towards the finish line to complete the run leg. Want to try a triathlon? Here’s your chance – and your first time is FREE! A friendly 200m distance swim that will also allow for flippers if you aren’t confident in the water. This is a great introductory distance to triathlon and will be suitable for any type of bike or footwear – don’t have fancy clip-ins? Do it in your joggers! Run or walk, it doesn’t matter but you’re on the last leg of your first big accomplishment. Just keep going….! Athletes will start the run by turning right out of transition after completing their bike leg. 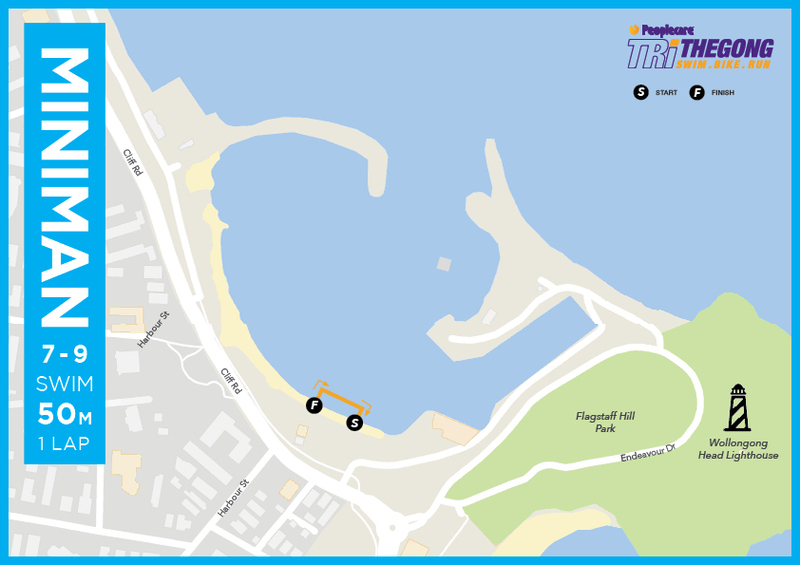 Runners will make their way down towards the WIN entertainment centre, running along the Marine Drive footpath, athletes will cross Crown St and turn left to make their way around the waterside of the WIN Entertainment centre. The turn around point for this run course is on the footpath near the corner of Bank St, after turning around athletes will head back along the footpath. After crossing Crown St on the back from turn point 1 athletes will make their way along the grass towards the finish line to complete the run leg. The Elite Energy MINIMAN race formats have become renowned for their fun, inclusive and supportive atmosphere. It’s a brilliant spectacle when the aspiring athletes line up at the water’s edge with mum & dad there to encourage them, along with other family and friends. The event focuses on participation and encouraging a healthy active and fun lifestyle from an early age. It doesn’t matter what you think your athletic abilities are, we encourage you to join in the FUN. For the swim start, kids will be grouped in their appropriate age categories on the beach at the northern end of Belmore Basin. They will be sent off in groups of approximately 20 at a time to ensure their safety during the swim leg. 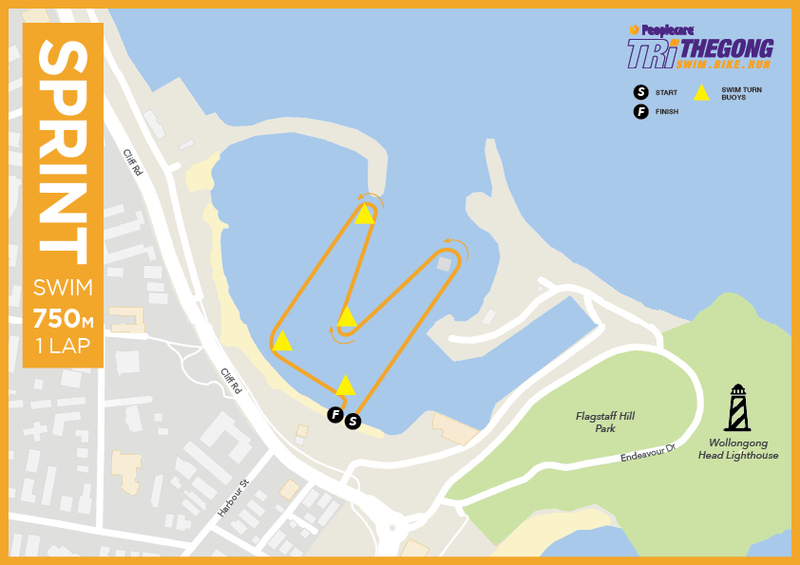 Athletes will start the run by turning right out of transition after completing their swim. 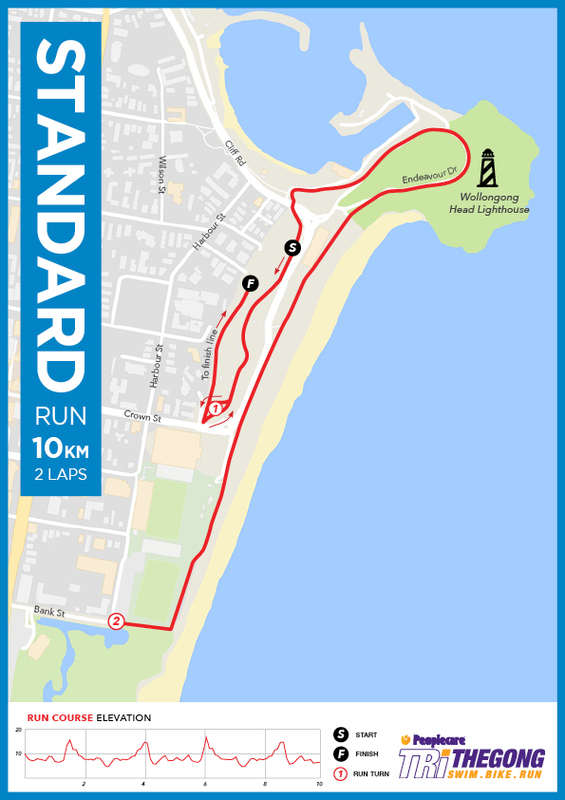 Runners will make their way down towards the WIN entertainment centre, running along the Marine Drive footpath. The 7-9yr old kids will turn at the clearly marked turn around point on the footpath along Marine Drive and make their way across the grass and under the finish line. 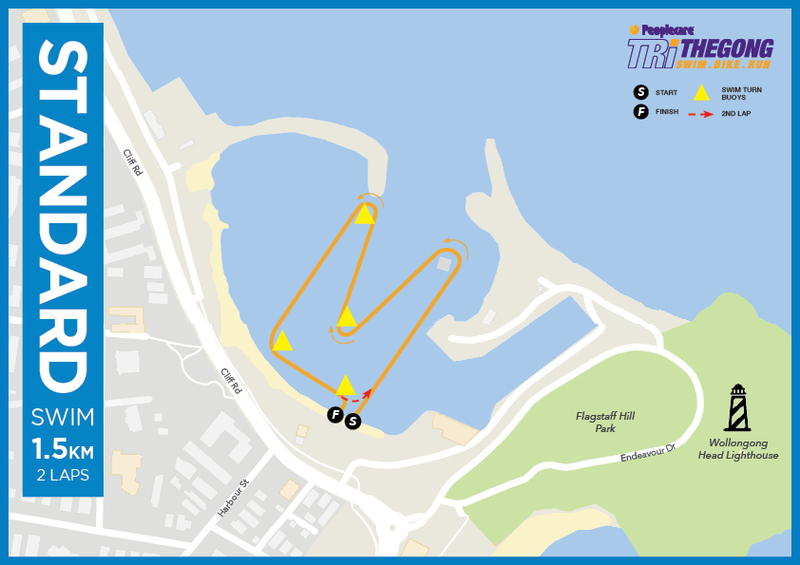 Athletes will start the run by turning right out of transition after completing their swim. Runners will make their way down towards the WIN entertainment centre, running along the Marine Drive footpath, athletes will cross Crown St and turn left to make their way around the waterside of the WIN Entertainment centre. The turn around point for this run course will be clearly marked directly behind of the WIN entertainment centre after turning around the kids will make their way back across Crown St but instead of heading back towards transition they will run along the grass towards the finish line. Male, Female & Mixed teams, Clydesdale & Athenas will be recognised on the podium and then we have ‘Race Ya Mate’ which has no podium prizes. Collection of your Registration pack is compulsory for all individuals Entrants and only 1 representative from a team. How was Wollongong Triathlon Festival?